The Canon Pixma iP4600 is a colour inkjet printer with high-quality photo printing capability. This home printer as well as photo printer is a great add on to the small home offices and workplaces and also for students. The printing resolution is up to 600 x 600 dpi in monochrome printing and 9600 x 2400 dpi in colour printing. It comes with a set of Canon Pixma iP4600 Ink Cartridges. The print quality that it offers is superior and it is appreciated for its clear and bright quality photo prints. It has dual tray where one can be solely dedicated to photo papers with a capacity of 150 papers. This stylish looking printer has a prominent look and weighs approximately 5.6kgs. With dimensions 431.8 mm (W) x 298 mm (D) x 152.4 mm (H) Canon Pixma iP4600 is perfectly sized to be installed at home. It is provided with PictBridge and USB port interface connection lacking networking capability. For interacting and giving commands, the printer doesn’t have LCD and is provided only with buttons.Despite the fact that Canon Pixma iP4600 has excellent printing quality, its printing speed is not satisfactory. The Canon Pixma iP4600 is the basic colour inkjet printer which lives up to the expectations with its great photo prints. Canon ensures high-quality prints with Canon Pixma iP4600 Ink Cartridges which gives clear prints even on photo paper. This printer comes with dual input tray, where one can be dedicated to photo papers. The PictBridge port of the printer enables to print directly from the digital camera though it lacks networking capabilities. Overall the printer has high performance and great printing quality but lacking speed and thus is suitable for home, small office setups and students. Q. For my photo printing task, why should I choose Canon Pixma iP4600 printer over other printers available in the market? A. The Canon Pixma iP4600 is a colour inkjet printer that is capable of producing high-quality photos. It supports automatic duplex printing and provided with PictBridge port for direct printing & USB port interface connection. Also, the printer has 5 separate ink tanks. The printer comes with dual paper input tray, where one can be dedicated to photo papers. Q. Does the printer support LAN setup? A. Unfortunately the printer does not support LAN setup. It supports only USB port. Q. My ink cartridges for the Canon Pixma iP4600 printer have got expired. So, I'm looking for a replacement. Which one would you suggest? A. You can buy compatible Canon Pixma iP4600 ink cartridges for your printer. These ink cartridges are more beneficial at low price. With the compatible cartridges, you will get as good-quality prints as the original ones. Q. How many cyan coloured ink cartridges do you provide in a multipack of 25 Canon Pixma iP4600 ink cartridges? A. At Printerinkcartridges.ie, we offer different multipacks of Canon Pixma iP4600 ink cartridges (5 pack, 10 pack, 15 pack and 25 pack). In a multipack of 25 ink cartridges, we provide 5 ink cartridges of each colour, including black, cyan, magenta and yellow. You can know more about these ink cartridges here: https://printerinkcartridges.ie/canon-inkjet-cartridges/canon-pixma-series/pixma-ip4600. 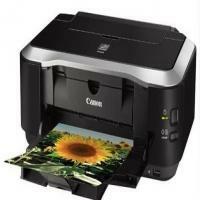 Q. I would like to know about the print speed of Canon Pixma iP4600 printer. Can you please tell me? A. Although the printer has excellent printing quality, its print is not much satisfactory. Its print speed is 26 pages per minute for black & white prints and 21 pages per minute for coloured prints. Hence, the printer is suitable for home or small offices. Q. Can I place my printer near other electrical appliances such as fluorescent lamps? A. No, we recommend you to place the printer for at least 5.91 inches / 15 cm away from other electrical appliances such as fluorescent lamps. If the printer is placed closer to those, it might affect the working of the printer due to fluorescent noises. Q. My printer is printing blurred or smeared pages. What is wrong with it!! Is this an issue with the Canon Pixma iP4600 Ink Cartridges? A. It is not always necessary that the problem of faded print is because of the ink cartridges. It might be possible that the printhead nozzles are clogged due to which printer is not printing appropriately. Check for any clogged nozzles and perform the action accordingly. If the results are still not satisfactory go for replacing the Canon Pixma iP4600 Ink Cartridges. Q. While printing documents, I found that printed paper has Curls or Ink Blots on it. What should I do to prevent this kind of issue? Check 1: Confirm the paper and print quality settings. Perform appropriate actions if print results are not satisfactory. When printing data with high colour saturation such as photographs or images, we recommend using photo paper plus glossy or other Canon specialty paper for printing. Q. Do you provide XL Canon Pixma iP4600 Ink Cartridges? A. No, we do not provide XL ink cartridges for Canon Pixma iP4600.